Make it your own. Customize your notebook with any photo or drawing of your choice. Simply slip it into the clear-view poly cover on the front cover. 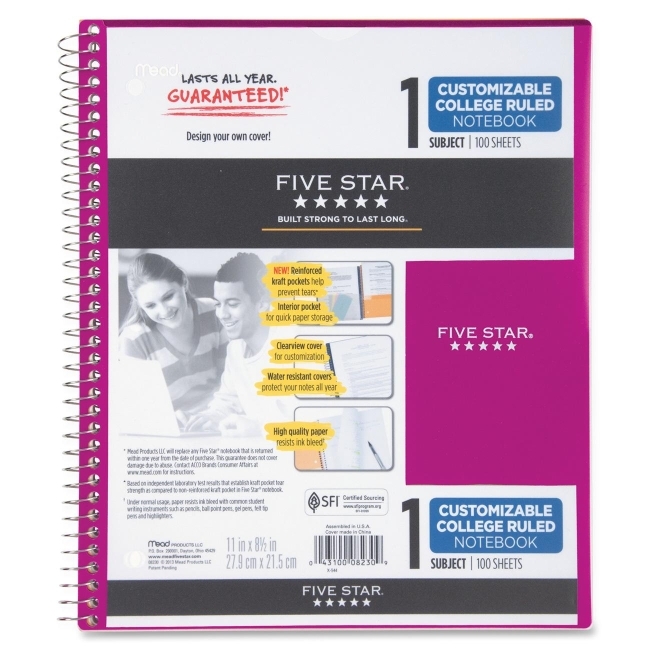 Durable, clear-view poly cover allows customization and quick paper storage. An additional pocket on the inside front cover offers easy paper access. 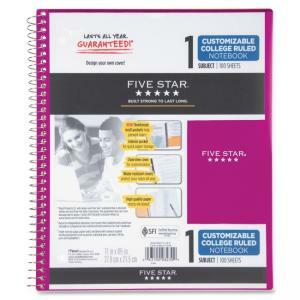 One-subject notebook contains 100 white sheets of college-ruled paper and a two-pocket divider for loose paper. Each sheet is three-hole punched to fit inside standard binders and Neat Sheet perforated for easy tear-out. Wirebound notebook is bound with Spiral Lock wire. Colorful front cover is made of durable poly. Durable back cover is made of coated Natural Kraft. One of the assorted covers will be randomly selected and shipped.